The failure of a hot water expansion joint in the heating system of a high-rise office building resulted in a catastrophic water leak. Brittle cracking occurred at a dissimilar braze joint between copper and stainless steel components. 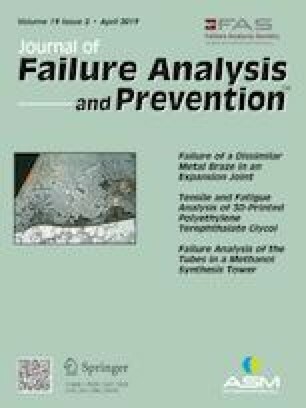 Failure analysis and instrumental characterization revealed that an incompatible phosphorus-containing, copper-based braze alloy had been used. The brazing operation created a hard, brittle intermetallic phase at the stainless steel component interface in the complex dissimilar metal joint. Although brazing filler metal guidelines highlight this incompatibility, there is a dearth of information concerning the nature and metallographic appearance of this deleterious phase. The purpose of this case history presentation was to detail the failure investigation and to characterize the composition and microstructure of this brittle phase.